BELLEVILLE – Donald Trump has just been elected as the 45th president of the United States, and Belleville residents have a lot to say about it. Trump’s Republican victory is making history for a whole host of reasons, starting with him being America’s first president in 60 years who doesn’t have prior political experience. At 70, Trump is also the oldest president to be elected into American office. Belleville residents are starting to react to the news. Bill Glisky is the managing editor for InQuinte and hosts “From the Cheap Seats” on 95.5 Hits FM and Cool 100.1 FM. Photo courtesy of Brendan Burke, QNet News. Bill Glisky, a prominent local journalist, was born in the U.S. and followed the election closely. Although Glisky says he can appreciate Trump’s campaign style, he’s not pleased with the way his fellow Americans voted. Glisky isn’t the only American in Belleville who’s unhappy with the results. 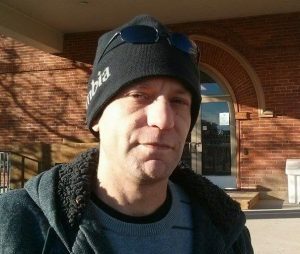 Loyalist’s Casey Diller was born in the U.S. too, and says he’s extremely disappointed with how this election turned out. 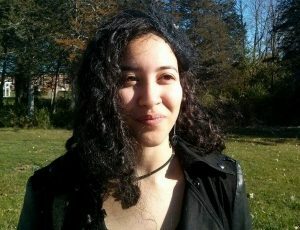 Rawan Youssef is from Egypt and was raised Muslim. Photo courtesy of Brendan Burke, QNet News. Throughout the entire election process, Trump has had a lot to say about different minority groups, including Muslims and females. Loyalist student Rawan Youssef is a member of both of these groups, and she said she’s scared. “I’m getting the second-hand fear for people like me that are in America right now, they’re probably so scared. I’m an immigrant too, I wasn’t born here. And I’m just so thankful to be in Canada right now. Because seeing what’s happening with our neighbours, it’s distressing,” Youssef said. Nate Craig, 35, explained that “divide will only grow” now that Trump has been elected. Photo courtesy of Brendan Burke, QNet News. Nate Craig of Belleville says he’s baffled that Trump won, explaining that he at least expected it to be a closer race. However, not everyone shares this disappointment. Amber Chiasson says she thinks Trump’s victory is a good thing. Photo courtesy of Brendan Burke, QNet News. 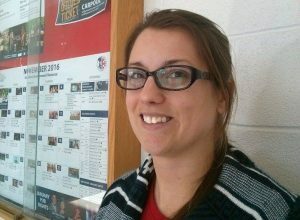 Amber Chiasson, a protection security investigation student at Loyalist College, says Trump winning was the best possible outcome. “She’s been in the game for a long time and things aren’t going well, so I think people just wanted change, so maybe this is the change they need,” Chiasson added. Americans and Canadians alike gathered around computers and televisions Tuesday night to watch the highly anticipated election unfold. Of the 538 electors in the Electoral College, at least 270 are required for a candidate to win the majority and become elected. When Trump’s electoral votes surpassed 270 in the wee hours of the morning, the Internet blew up with stunned responses. Since the public learned of the results, a popular theme on social media has been panic. #Trumpocalypse and #proudtobeCanadian were both trending on Twitter while “Immigration to Canada” trended on Facebook. The impact isn’t reflected on social media alone. In fact, the immigration site for Canada crashed at around 9:30 p.m. as U.S. citizens considered their options. The website was unable to open properly due to the higher-than-normal volume of visitors. Photo courtesy of James Gaughan, QNet News; screenshot retrieved from the Citizenship and Immigration Canada website. “I was on a cruise in November, 2015 and two ladies from Buffalo mentioned more than once that if Trump wins, they’d be looking into immigrating to Canada,” said Sheron, a travel agent in Belleville who declined to give her last name. Justin Trudeau has publicly reacted to the news with civility and objectivity. He released a statement on Twitter congratulating Trump on his win. Between heated debates and serious accusations, the 2016 election has been one of the most dramatic America has ever seen. As the Republicans celebrate their first victory since George W. Bush won in 2001, many mourn this change in leadership. With files from James Gaughan.